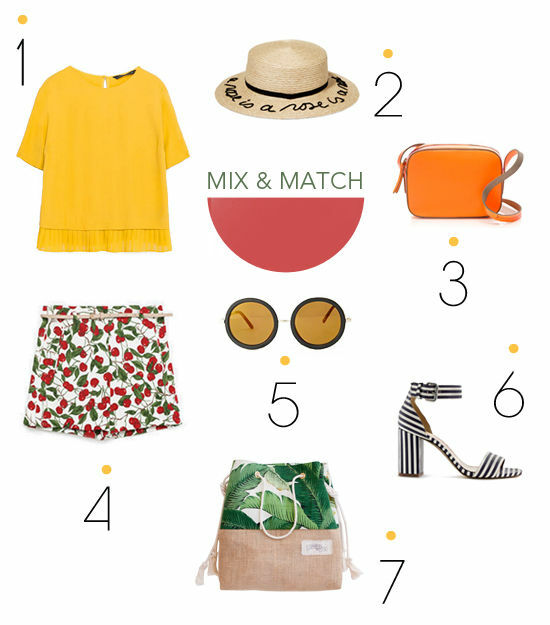 shop these items: 1. yellow t-shirt from , 2. hat, 3. orange bag from , 4. shorts from , 5. sunglasses, 6. striped sandals from , 7. bag by . Loving all of the bright, pretty things! Great tips! I love it! I love everything especially the shoes!